Lying close to Charminar, Chowmahalla Palace was the important place where the Nizam ofHyderabad entertains their guest during the Asaf Jahi Dynasty. 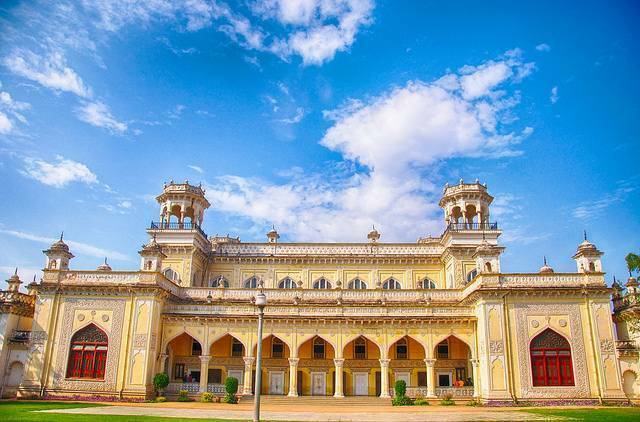 The elegance and unique architectural style of Chowmahalla palace takes you back to period of Nizam’s. Dating back to 200 years, the palace is well maintained and pedantically restored. At night time when luminated with glittering lights, palace is a feast for ours eyes. There are four palaces within the complex. The Palace also entitles the most prestigious UNESCO Asia Pacific Merit award for cultural heritage conservation. Afzal Mahal, Mahtab Mahal, Tahniyat Mahal and Aftab Mahal are built in neo classical style. The main Durbar Hall, Khilwat Mubarak, has a marble platform over which the royal seat, Takht-e-Nishan was laid. You can see nearly 19 crystal chandeliers are reinstalled to enhance the beauty of Durbar Hall. The halls also houses 250 years old clock in the clock tower.